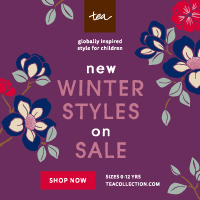 If you're looking for the perfect gift for your paw-some animal companions, look no further! My husband and I got tired of water bowls that were constantly getting knocked over and spilled everywhere---by our cat, and our dog. Out of desperation, I finally took the plunge and purchased a pet fountain. The only thing I regretted about buying it is that I didn't do it sooner! 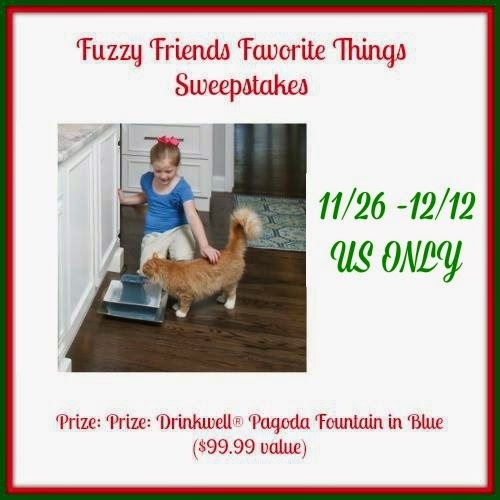 And now you can win the beautiful new Himalayan Blue PetSafe Drinkwell Pagoda Fountain. Does your pet get enough water daily? You may be surprised that most pets aren't getting their daily recommendation of water, which can lead to health issues now and down the road. Most veterinarians recommend that dogs get one ounce of water per pound of body weight a day. Since this can be a problem for dogs and cat owners alike, PetSafe is proud to help pet parents keep their pet hydrated with the PetSafe Drinkwell Pagoda Fountain. Also, right in time for the holidays, PetSafe is proud to release their latest fountain - the Himalayan Blue Drinkwell Pagoda Fountain. This stylish fountain is perfect for home and kitched decor, and voted over other colors in the DIY Network’s Blog Cabin 2014 People’s Choice Competition by people like you and me. 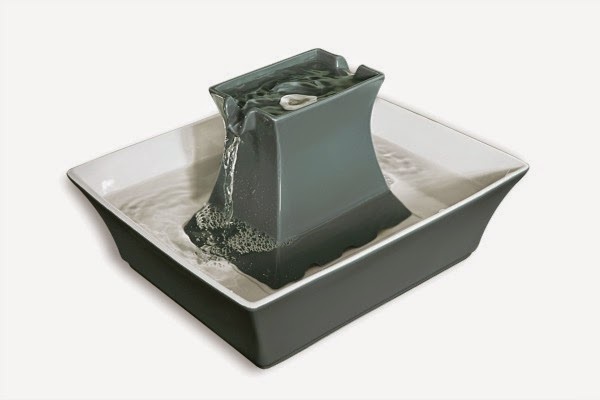 Knowing that many pet owners would love to own this fountain, we are excited to announce that Budget Earth and some of their favorite bloggers are working together with PetSafe to make sure some lucky pet has this fountain under their Christmas tree. To enter, make sure to read all the rules below and then enter through the giveaway form.